Arsene Wenger will step down as Arsenal manager at the end of the season. ARSENE Wenger will bring his 22-year stay in charge of Arsenal to an end at the end of the season, the Frenchman has announced. The 68-year-old's position has come under intense scrutiny over the past 18 months due to repeated failings in the EPL and Champions League. The Frenchman has lifted the FA Cup in three of the past four seasons but that has not been enough to appease some supporters. 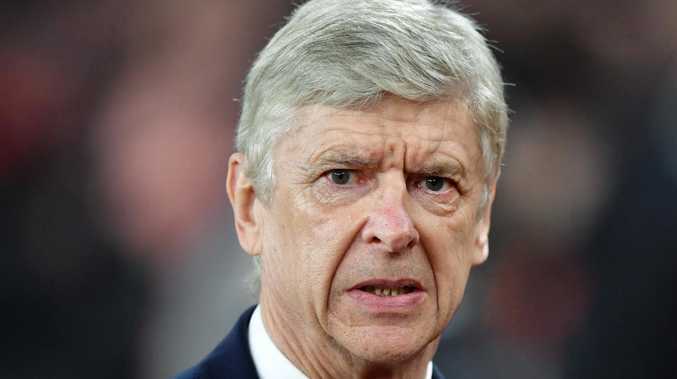 Wenger, whose side is set to compete against Atletico Madrid in the Europa League semi-finals next week, confirmed his decision to step down on Friday morning, local time, after more than 21 years at the helm and with more than a year left on his contract. "After careful consideration and following discussions with the club, I feel it is the right time for me to step down at the end of the season," Wenger said in a statement released by Arsenal. Arsenal manager Arsene Wenger is stepping down at the end of the season after 22 years in charge. "I managed the club with full commitment and integrity. I want to thank the staff, the players, the directors and the fans who make this club so special. 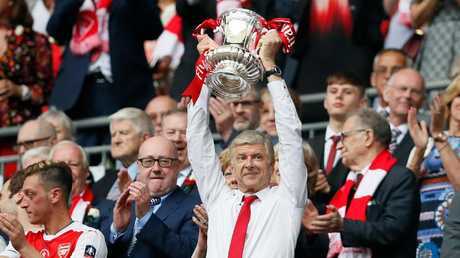 Arsene Wenger hoists the FA Cup last year, the seventh time Arsenal won the trophy under his guidance. "I urge our fans to stand behind the team to finish on a high. To all the Arsenal lovers, take care of the values of the club. My love and support for ever." 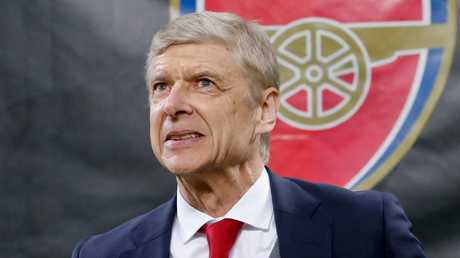 During his tenure at the Gunners, Wenger claimed three EPL titles and seven FA Cup trophies, managed in more than 1200 games and took Arsenal to a Champions League final. Arsenal majority owner Stan Kroenke praised the impact the 68-year-old Frenchman Wenger had made. "Arsene has unparalleled class and we will always be grateful to him. 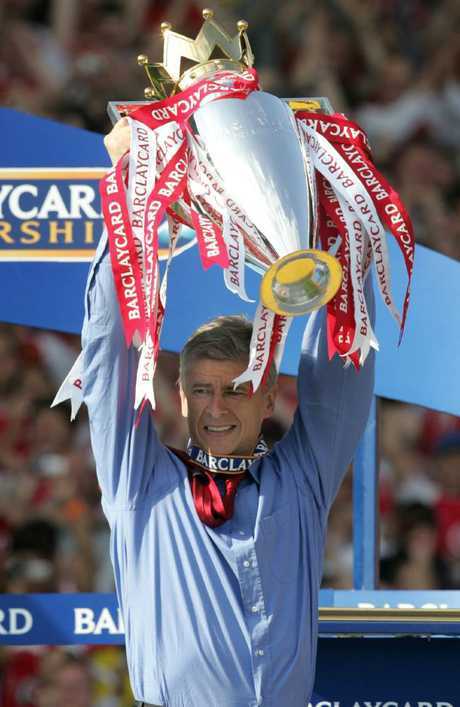 Arsene Wenger with the English Premier League trophy in 2004, the last time the club won the title. "He has also transformed the identity of our club and of English football with his vision for how the game can be played." Former Arsenal favourite Patrick Vieira will be among the favourites to take the reins, after claims the 41-year-old New York City boss has already been lined up to succeed his former manager. "He's a guy who has the potential one day, yes," Wenger said of Vieira's credentials. "I've followed his managerial career. I think he does very well. But overall, after that, this Premier League is special, you know."